If you just want to relax in the house or gardens and enjoy the wonderful views, that’s absolutely fine with us. However there are many activities available within easy reach of Kells so we have listed them in case you might be interested. If you require our assistance in arranging any of these please feel free to ask. If you want a swim before breakfast there is a a lovely safe sandy Blue Flag beach just at the bottom of the garden. The crystal clear water can be described as fresh (14C+) in Summer but it will leave you feeling invigorated. It’s suitable for all ages. There are other Blue Flag beaches within a short drive on the Ring of Kerry, Rossbeigh and Derrynane being the nearest. For the more adventurous there are surf schools and other watersports available within a short drive. There is good sea fishing from the rocks and the beach at Kells. Boat outings including Deep Sea can be arranged from Portmagee, Valentia or Ballinskelligs. During the appropriate seasons there is excellent salmon, trout and sea-trout fishing on local lakes and rivers. There are many challenging championship standard golf courses within easy driving distance. We will be happy to arrange tee times at preferred rates on any of the following courses. Dooks Golf Links, Waterville Golf Links, Skellig Bay Golf Club, Killorglin and Beaufort Golf Club. Please let us know your requirements. If conditions permit a visit to this UNESCO World Heritage Site is highly recommended. Since 1996 protection and regulation regarding visits to the site has increased and visits are highly dependendent on weather conditions. At Kells Bay House, if the ferries are sailing, we can arrange your passage and guide from Portmagee. 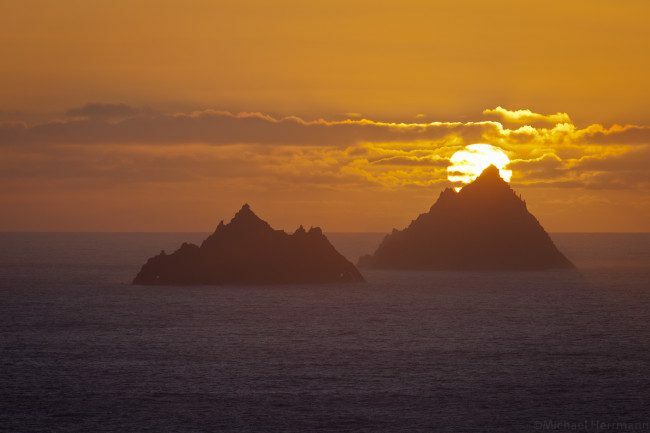 Visiting Skellig Michael requires an early start and a full day should be allocated. The kitchen at Kells will be delighted to prepare a packed lunch for your trip. 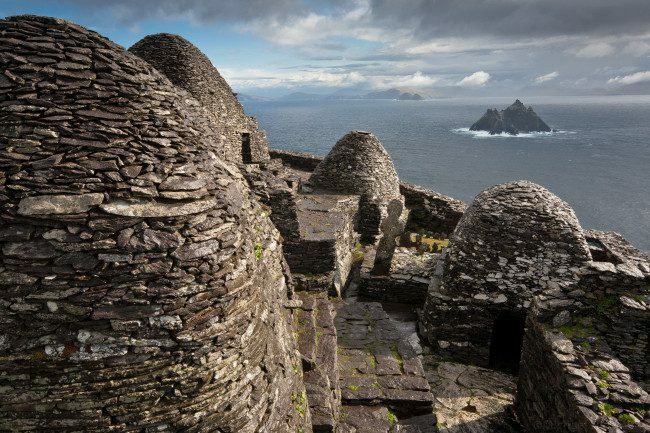 Since the filming of Star Wars, ‘The Force Awakens’ on the islands in 2014 demand for this trip has increased and it is well worth visiting to be astounded as to how the early Christian monks sustained a community here for over 600 years. There is much wonderful wild and open moorland in the vicinity of Kells and a number of guests have reported excellent feedback from in season days out with our dedicated local hunting guide. Whatever your preference, lessons, long beach rides or challenging mountain treks, the locality is well supplied with everything needed for a horse themed holiday. Ireland’s highest mountains and some hidden gems are on the doorstep. If necessary Mountain Guides can be arranged, based on personal experience Billy is happy to advise and recommend the best local routes. Bikes can be rented in Cahersiveen either directly with Casey Cycle shop or Billy can arrange collection and return. A number of suggested routes are available, with maps, suitable for both beginner and experienced rider alike. Please remember that there is very high demand for bikes in the busy summer months. Please request well in advance and we will reserve for you. There is no shortage of historic sites, great houses, other gardens to visit within easy driving distance. Ireland’s most famous drive the Ring of Kerry, overlooks the gardens but in our opinion there are other less busy but equally rewarding local drives. 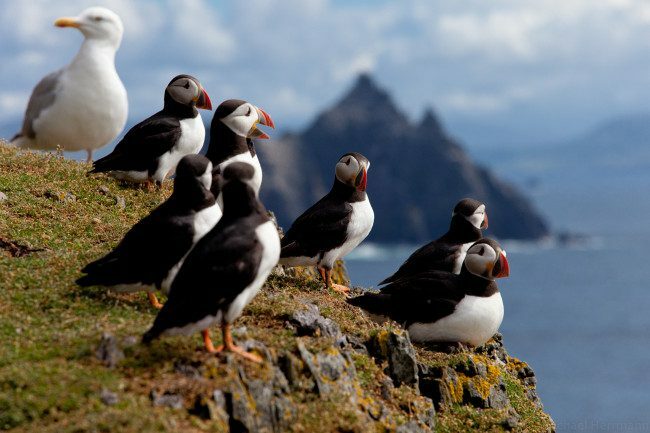 Valentia Island, with its wonderful cliffs and the astounding Tetrapod footprints and the Skellig ring are two of our recommendations. The towns of Cahersiveen, Killorglin, Sneem, Waterville, Kenmare, Killarney and Tralee are all within comfortable day trip range of Kells Bay House. The Dingle peninsula, which dominates the view from Kells, offers a long but rewarding drive if Slea Head and the Conor Pass are to be visited. We are happy to discuss your planned route with you. 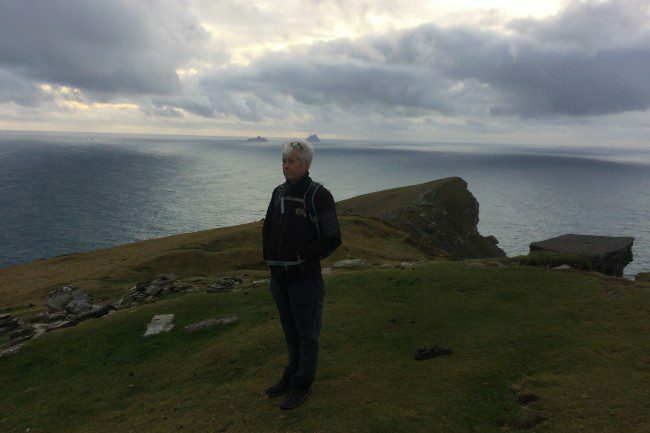 You can’t get to Kells without enjoying some of the magnificence of the Wild Atlantic Way. Kells Bay House is an ideal stop over point on Ireland’s definitive coastal touring route or a basis to explore some of the best parts of it. Whether you are travelling south from the jaw-dropping Cliffs of Moher or north from the gourmet haven of West Cork, you will find great food and comfortable lodging with us along the way.